I had been waiting for this one for 4 years, ever since I listened to a talk by William Woys Weaver. He spoke about this tomato and it sounded wonderful. I can now say, it is one of the best I have ever eaten! Introduced in 1893 by James Thornburn of New York. It is a semi-determinate and not a huge plant. 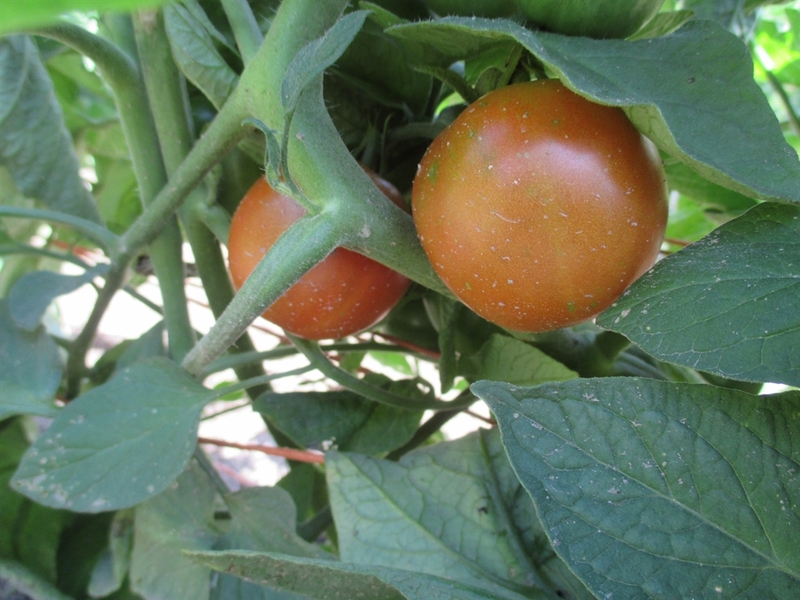 The fruit set was very heavy and it was one of the first tomatoes to ripen. The fruit range from 6 oz to 1 pound. 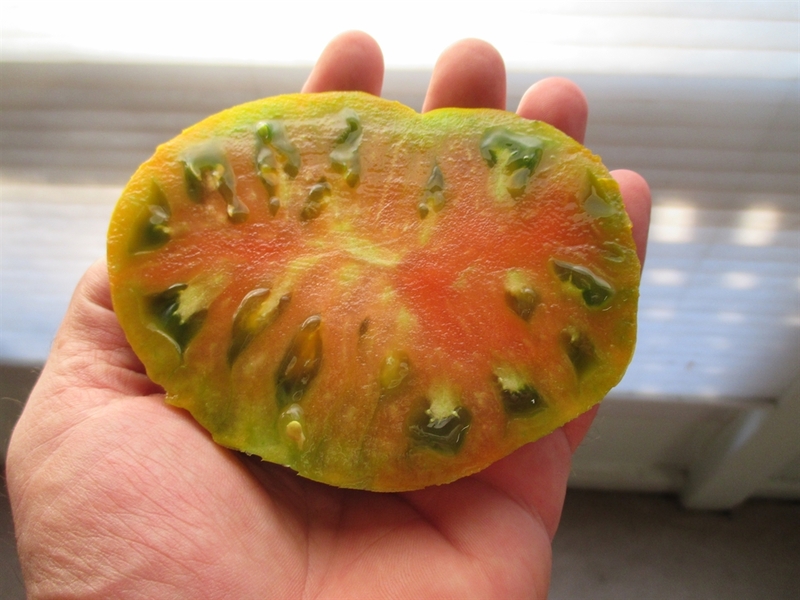 The skins are a coppery brown and the flesh is green and red in the center. The flavor is very rich, with a degree of tang and sweetness. Too complex to adequately describe. It also proved to be disease resistant and did quite well for the first couple months under drought conditions. Needless to say, I will be growing some of these every year from now on. *Seed Saving: Isolate varieties of L. lycopersicum by 35′ for homeuse, 50′-150′ for pure seed.